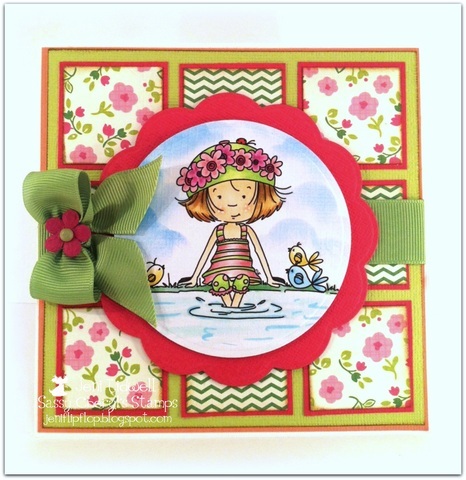 Sassy Cheryl's Digi Stamps Challenge Blog: Challenge #162... A Sketch! A beautiful Tuesday to you! I'm enjoying this weather here in the US Mid-West! Hope your weather is being good to you too! Talk about enjoying... I think you all enjoyed last week's Anything Goes challenge by the looks of the entries! WOWZERS!! Give yourselves a round of applause!! Now, let's see who the random lucky person is that wins 2 FREE Sassy Cheryl's digis shall we?! just have a look at this pre-colored card, too cute! Cheryl has several within this post too, all adorable! Now, time to move onto this week! A sketch by Jackie!! Oh boy! I love a sketch!!! and the sassy DT for your enjoyment! So, get busy, you'll have until 5 PM EST, Monday, April 22nd. 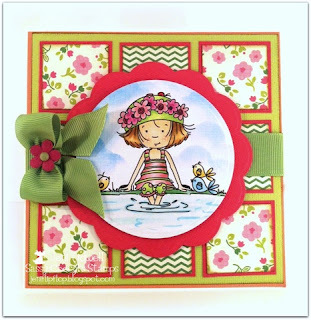 TWO FREE images giveaway from Sassy Cheryl's Stamps. So, let's see what you have for us this week. Just be sure that you use a Sassy Cheryl's Stamps image. FAB CARDS ladies. Absolutely AWESOME! Such fabulous colors and I LOVE the sketch, Jackie!!! Cheryl. . . .congratulations! Just drop me an email and I'll get whichever images you'd like right to you! Can't wait to see what everyone creates this week. . .it's gonna be a great challenge! Congrats, Cheryl! What an adorable card. This was a tough sketch for me, Jackie! Great DT samples as always.